Since school is now in full swing a lot of us will be trading our more active free time for sitting and studying. This doesn’t have to be the case. 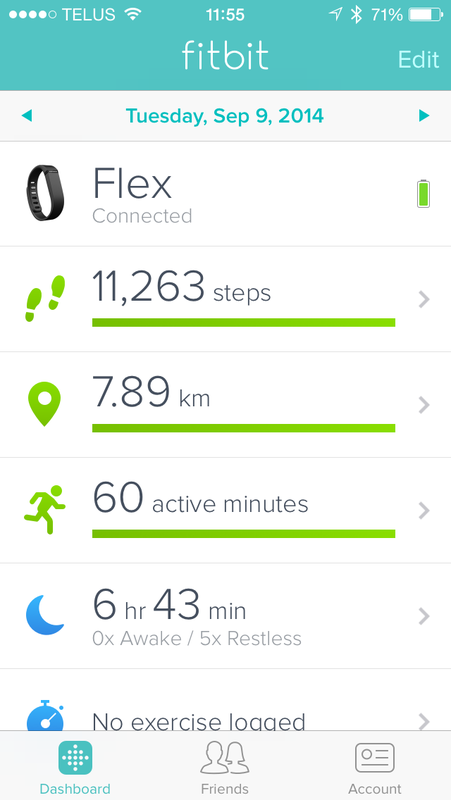 Though it can be hard to keep fit during school, I’ve been getting extra motivation from my Fitbit Flex. 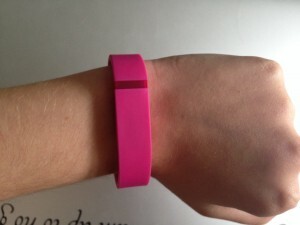 I’ll be giving you a little review of my thoughts on the Fitbit Flex after having it for about a month now. The Fitbit Flex is an electronic fitness tracker. It can track steps, distance travelled, calories burned, exercise/activity level and how you sleep. When using the app or online dashboard you can track your food or water intake, make meal plans, and add activities you’ve done through the day. It vibrates when you reach your daily goal or when you set alarms. 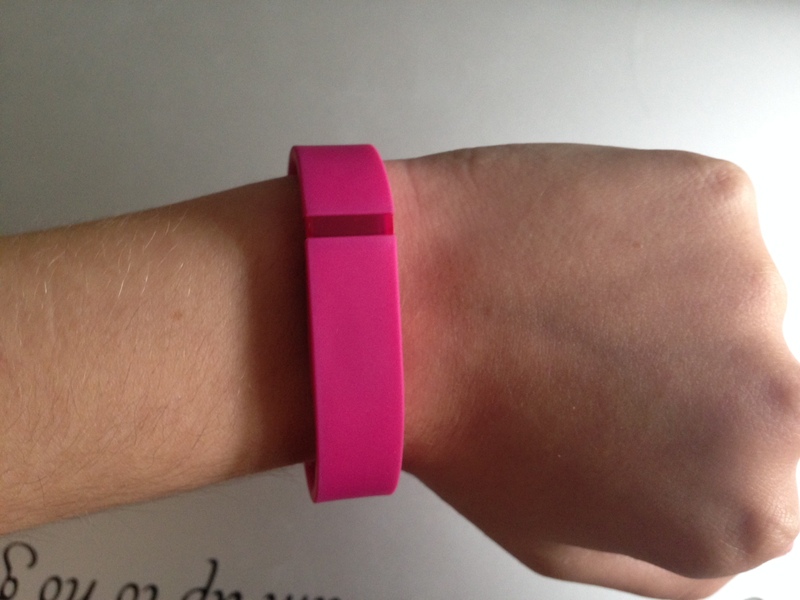 I originally chose the Fitbit Flex because it was small and easy to wear. It doesn’t have a screen, but by double tapping you see a series of lights that tell you how close you are to your daily goal. I like how it has interchangeable wristbands so you can change the look to fit whatever you’re wearing. The bands are also made of silicone so they are easy to clean. The battery life is pretty amazing for the Flex. I find I only have to charge it every 5 days (using it 24/7) and it only takes ~3 hours to fully charge. The battery life can drain faster if you use the alarm options constantly on the Flex, but I haven’t noticed a dramatic decrease. The Flex also claims it is water resistant enough to shower with, but I haven’t tested that claim (though it does put up with rain and washing dishes). The only down-side I have found for the Flex is the sensitivity of the tap sensors. In order to change it from sleep-mode to awake you need to tap it for a second or two, but I find myself trying for 2-3 minutes to get it to switch sometimes. There are two ways to see the data from your Fitbit. The first is to use the online dashboard. I really liked how you can customize the dashboard to show exactly what you want to see. It’s really easy to move things around and see the different aspects of your day in more detail (activity levels, sleep patterns, etc.). The other option is to use the app. As far as I know the app is available for both apple and android devices. I have a picture of the apple app interface below. 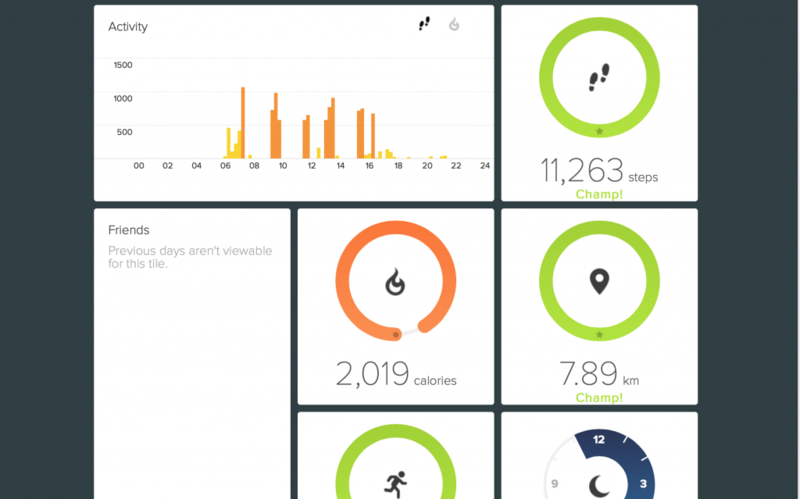 I like that it is very organized and you can see everything your Fitbit has been recording at a glance. The app is also customizable and you can change what you see and the order of the main screen. However, my favorite part of the Fitbit is my ability to compete with friends. The app and online dashboard makes it easy to find friends and cheer them on or taunt them through the day. It really motivates you to get up and move (and it’s fun to compete with friends). 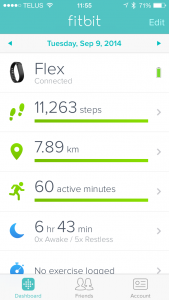 All-in-all I have been really impressed with the Fitbit Flex. The Fitbit user interfaces are easy to use on both your phone or online, and the Flex is a great little device to have. Though you may not be doing a full on exercise routine every day, it is nice to know how active you are in your every-day life. This entry was posted in Travel/Lifestyle and tagged Fitbit, fitness, Lifestyle by Sarah. Bookmark the permalink.